Since 2013, a mysterious string of mass killings has taken place around Beni, in northeastern Democratic Republic of Congo. This startling wave of attacks transformed Beni territory from an area of relative calm into one of the country’s most violent theaters of conflict in a decade. These killings—primarily machete attacks—bring unprecedented levels of brutality to the area, with an estimated death toll of at least 800 and over 180,000 displaced since the main wave of violence hit in October 2014. The violence has largely been shrouded in mystery, with most accounts blaming the Ugandan Islamist rebels, the Allied Democratic Forces (ADF). Our report––the result of over two years of research and 245 interviews, including many with perpetrators––uncovers a more complex and arguably more disturbing reality. While the ADF participated in many of the massacres, it is clear that several overlapping networks of actors were involved, waxing and waning in prominence, sometimes collaborating and other times competing with each other. Specifically, it is clear that officers belonging to the former Armée patriotique congolaise (Congolese Patriotic Army, APC) initiated the massacres that began in 2013, in conjunction the ADF and local chiefs. At some point in mid to late 2014, officers in the Congolese army’s Sukola I operation, led by General Akili Mundos, were able to penetrate these networks. Instead of bringing the perpetrators to justice, however, they appear to have coopted these networks and escalated the violence in order to control their rivals. All sides benefitted from being able to blame a foreign, Islamist organization for the killings. In face of this complexity, the responses by the Congolese government and its foreign partners have been inadequate at best. While the initial Sukola I operations aggressively targeted the ADF––at the cost of the lives of hundreds of Congolese soldiers––the subsequent commander of operations became complicit in the killing himself. 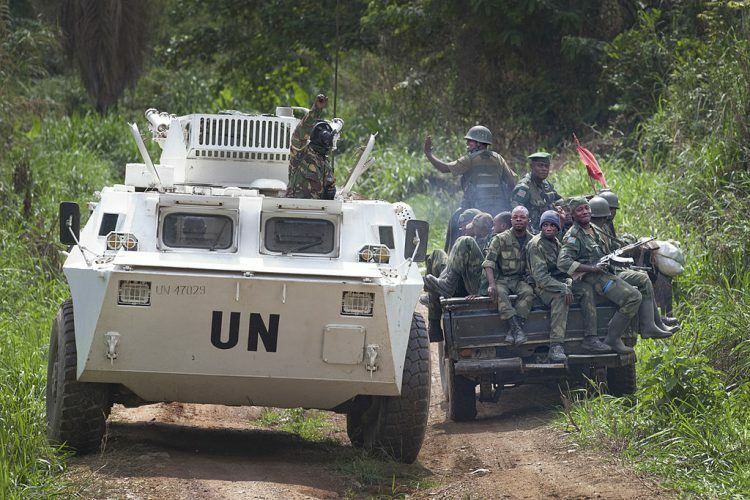 This reflects poorly on the military operations of the United Nations peacekeeping mission, which provided uncritical support to the Congolese army throughout much of this period. More generally, it demonstrates that a purely military strategy will be insufficient to stabilize this area. The report can be accessed here in English. The executive summary is available in French here. A full French translation will be available soon.